Staying in Strasbourg University dormitory accommodation, students should budget on €500 per month. In private accommodation it would be more that €800 to €1,000 a month. Transport is relatively cheap – there is a monthly fee of €20 to travel anywhere. Food is also cheap and students can go to student restaurant and pay only €3 for a full meal. There are 7 or 8 student restaurants in Strasbourg and the students themselves have a ‘hit parade’ of the better ones! It is possible to find work as a Parliamentary Assistant (unpaid) to the Members of the European Parliament. Good English is required (!) and reasonable French. The work is part-time when the European Parliament is sitting during the 4 – 5 days per month when it is in Strasbourg. Parliamentary Assistants do everything from research on current issues before the Parliament to sorting mail. The best way to find out about this position is to search the web for MEPs, contact the MEP of your choice (there are 27 member countries). This would only suit those exchange students who intend to study in Strasbourg for a year rather than a semester. When the European Parliament is sitting Parliamentary Assistants are excused from class except for tutorial which would only be about 4 – 5 hours per week – exact working hours can be negotiated with the MEP. France is a very pleasant place to study. It has an excellent standard of education, its universities are highly thought of and the country enjoys good food, great wines and people enjoy their lives. And the best thing is, living in France does not have to be expensive. France is the most visited country in the world, receiving over 79 million foreign tourists annually (including business visitors). France is one of the founding members of the European Union, and has the largest land area of all members. France is also a founding member of the United Nations, the G8, and the Latin Union. It is one of the five permanent members of the United Nations Security Council. The eastern part of France consists of the Alsace, Lorraine, Franche Comté and Burgundy regions. 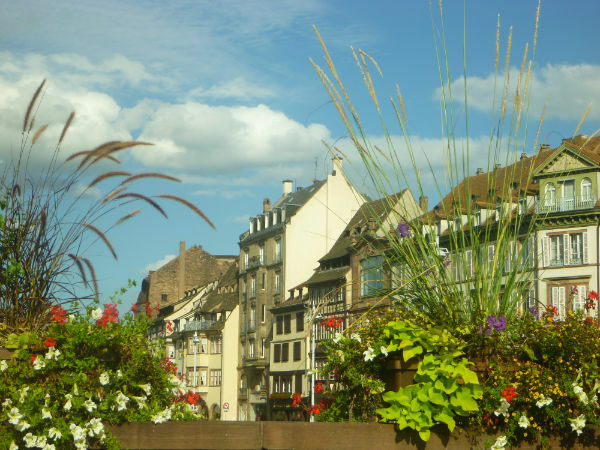 The landscape has rolling hills and many beautiful cities, such as Metz, Strasbourg, Nancy and Dijon. Strasbourg is the capital of the Alsace region of France and is located in the Rhine valley, 488km (303 miles) south east of Paris and 217km (135 miles) southwest of Frankfurt, has a population of approximately 650,000 inhabitants. Strasbourg hosts some important European institutions as the Council of Europe, the European Court of Human Rights, the European Ombudsman, the European Parliament and others. There is a very international ‘feel’ to Strasbourg particularly during the 4 days every month when the European Parliament is in session. More than 1,700 international civil servants have made Strasbourg their home. These are the people who are the backbone of the Council of Europe and the European Parliament. Strasbourg is one of France's major ports and is the seat of the Central Commission for Navigation on the Rhine. The city has a beautiful historical centre, the Grande Île ("Grand Island") which is a listed World Heritage site by UNESCO. This old part of the City is also known as Petite France and with its many waterways is a little like Venice or Amsterdam. Strasbourg is located on France's border with Germany and at the end of the 19th century Strasbourg became a part of Germany, but reverted to France in 1918. Strasbourg is a unique city, as a result of its history, it seems to be a combination of France and Germany and this has also shaped its architecture in both its ancient and more recent buildings. The city has lovely wide tree-lined streets, excellent, modern public transport, good cafés, restaurants and bars. In Petite France there are many outdoor restaurants, some with views of the River Ill and its locks. TGV (the very fast trains) now link Strasbourg with most of the major cities in Europe. Students must apply for housing prior to arrival. Dormitory accommodation is reasonably priced and is French Government supported. Prices range from €125 to €180 per month. Rooms are single study bedrooms with either a private or shared bathroom depending on the price. To rent a centrally located studio would cost between €400 and €450 a month. Many of the dormitories are very centrally located and near the respective universities. Eli Lilly and General Motors also have offices in Strasbourg.